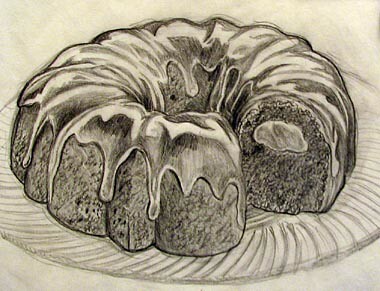 Not much time this week, but I manged to do a quick sketch for illustration friday's cake topic. mmm, this made my mouth water! yum, looks great. Beautiful sketch! Wow, looks so real and so good. oh I could eat that right now!!! Nice sketch and good rendering!